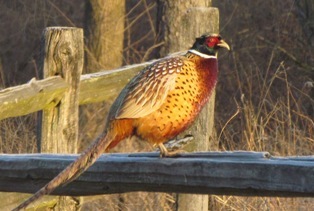 State Representative Tony McCombie (IL-71st) is helping spread the word that the Illinois Department of Natural Resources (IDNR) is accepting grant applications from not-for-profit organizations and units of government interested in developing projects to enhance wildlife habitat through the Illinois Habitat Fund and the State Pheasant Fund. The IDNR Division of Wildlife Resources administers these special grant programs that are funded by Illinois sportsmen and women through the purchase of Habitat Stamps. Rep. Tony McCombie sponsored an amendment pushing for the release of funds for this grant program. Applications for grants this year through the Illinois Habitat Fund and the State Pheasant Fund must be submitted by Sept. 1, 2018.